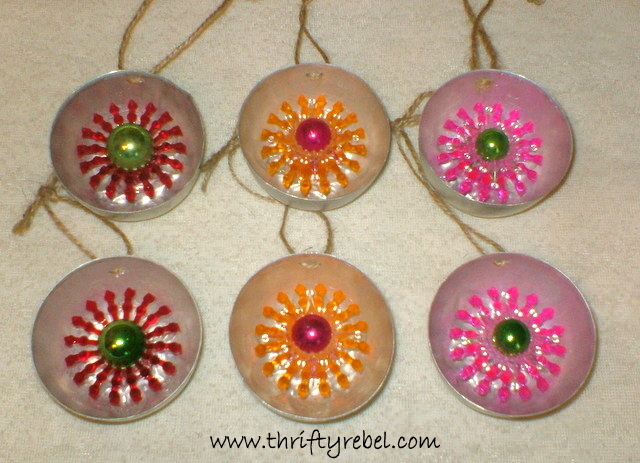 I love repurposing things into Christmas ornaments and today I’m sharing how I used these some vintage jello molds and tart tins to do just that. 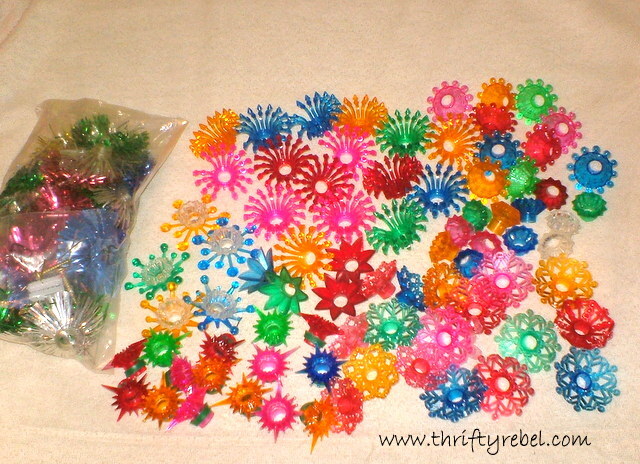 And here’s what I did with the jello molds from this thrifted finds post. 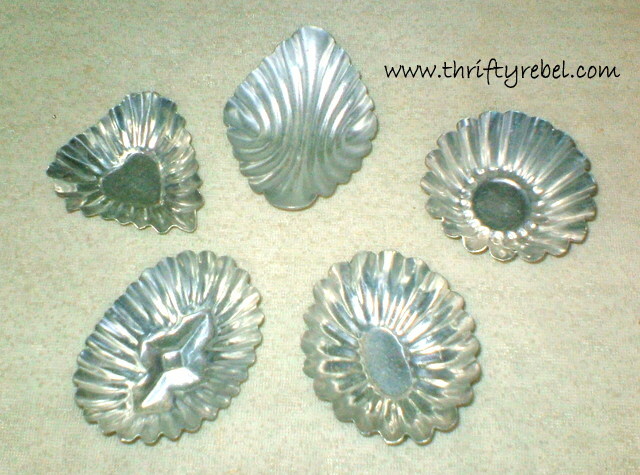 I drilled two holes into each mold and tart tin using a small metal drill bit. Strung each with some jute twine. 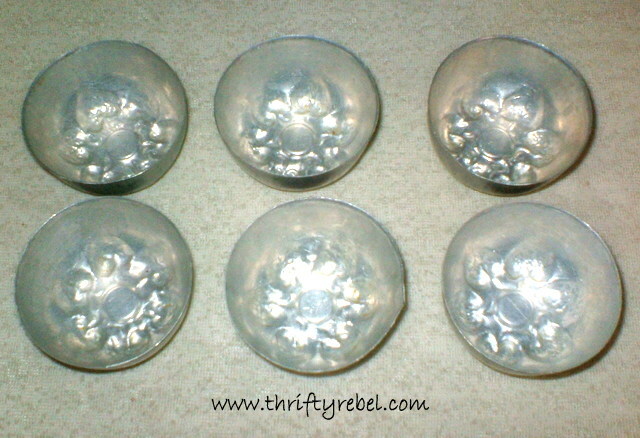 When I had all the molds and tart tins drilled and strung I started playing with these vintage plastic reflectors from this thrifted finds post. 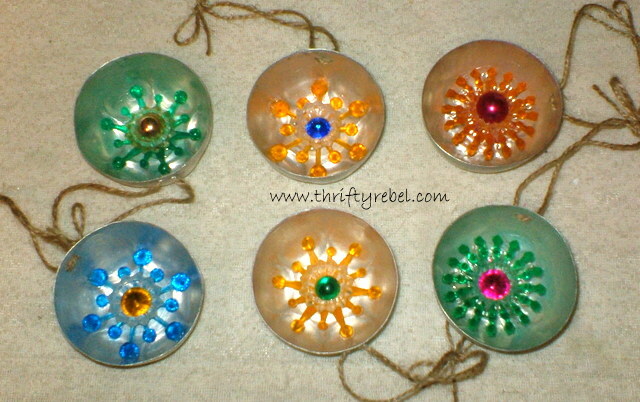 I added vintage glass ball ornaments to the middle of two of the reflectors, and the other four have salvaged rhinestones from vintage broken brooches as their centres. 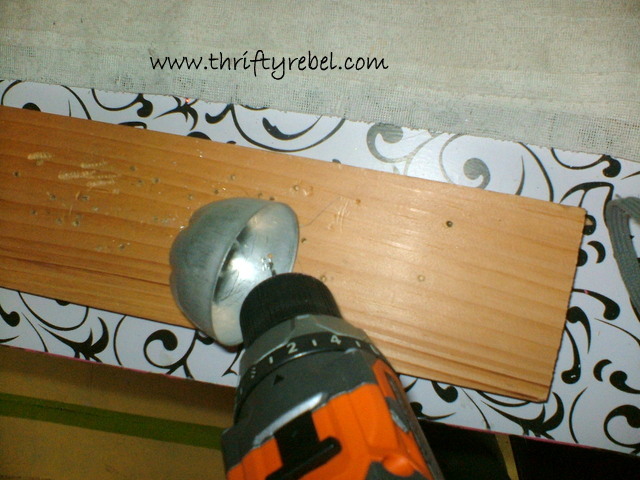 All were glued in place using Marine GOOP adhesive. 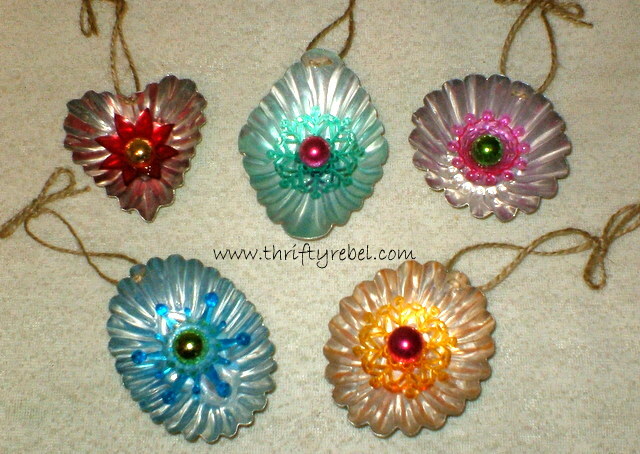 that became these… all of these have vintage glass ball ornaments as their centres. 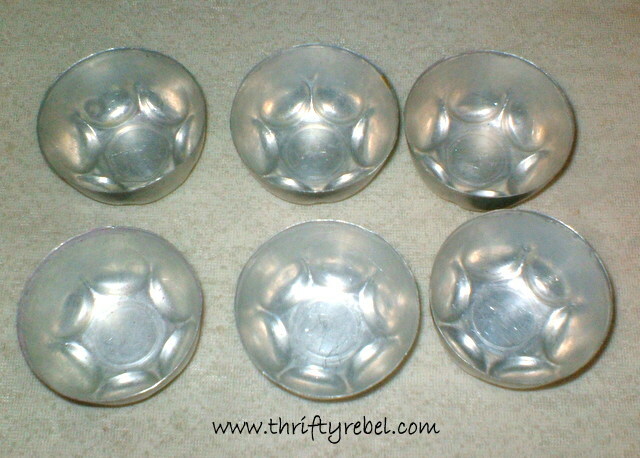 Here’s a set of tart tins that I thrifted a while back. 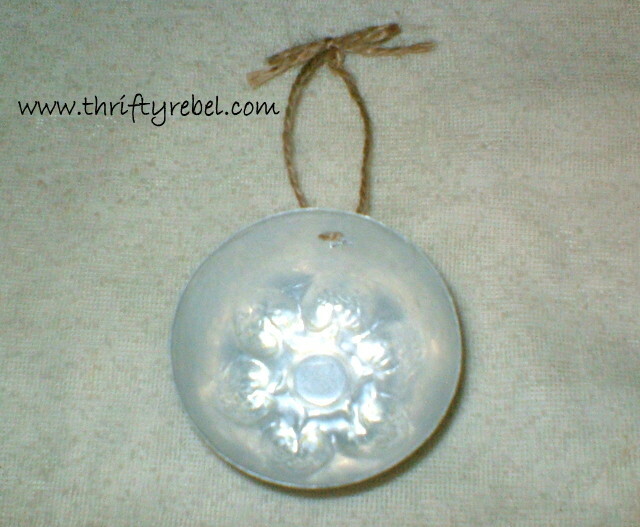 Making tart tin ornament is pretty quick and easy, and the possibilities are really endless. Oh I love them Tuula! I wondered what you would do with those light reflectors! You are a Christmas genius!! Nice job! Oh so pretty! Would love to see them on a vintage tree! I just can't get over your great ideas! Can't wait to find some tins and make my own! You are so darned creative. Love what you came up with!!! Well, aren't you the Christmas tart! Wait, that sounded terrible. Love these – did you paint the tins first or is that reflection? I am thinking feather tree for these. Tart art, I love it. That's a really clever idea Tuula and they look pretty. Oh, that turned out beautiful. 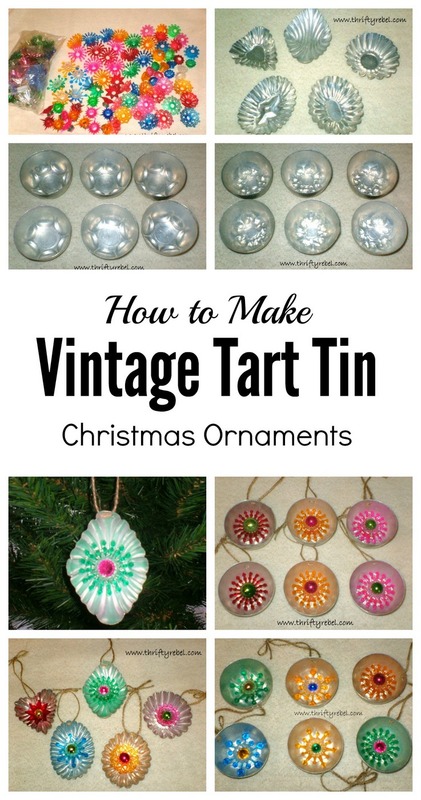 I love that you are incorporating beautiful vintage finds on your Christmas tree. I also love the bright plastic reflectors you added. Very clever! Love thrifting and repurposing. I absolutely love these! Thank you so much for linking up to Twirl & Take a Bow.